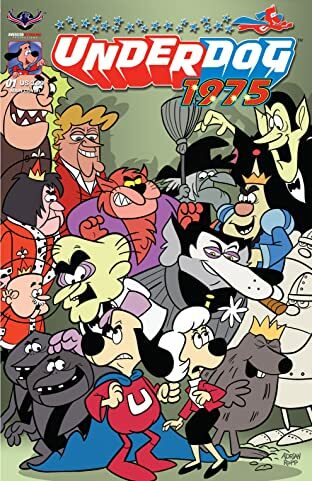 Holy dancing disco bellbottoms, Underdog! It's 1975 again! 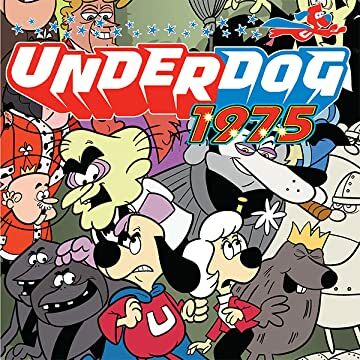 American Mythology has uncovered beautiful unpublished Underdog stories from the original Gold Key comic series that have never been seen before! These stories are by the original creative teams of Steve Skeates and John Albano and were discovered in a collector's stash. We've resurrected these archeological finds and given them some TLC to create Underdog 1975. We're also including some groovy reprint stories from the Gold Key series to make this a one of a kind time capsule issue. Go back in time with us to a simpler era with incredible cartoon characters.